Democratic presidential candidate Hillary Clinton is widening her national lead over Bernie Sanders with less than two weeks until the first Iowa caucuses, according to a new poll released Sunday. An NBC/Wall Street Journal survey shows Clinton dominating as the first choice of 59 percent of Democratic primary voters. Sanders, 25 points behind, comes in with 34 percent of support. Former Gov. Martin O'Malley receives 2 percent of the vote. Clinton has grown her advantage over Sanders since December, when the poll was last conducted. Last month, the former secretary of state had a 19-point national lead, coming in at 56 percent of support to Sanders' 37 percent. The NBC/WSJ poll, released just hours before a primary debate in South Carolina, shows a marked difference from other national polling numbers, which show Clinton's edge dwindling. Earlier this week, a CBS/New York Times poll showed the Democratic front-runner topping Sanders by just 7 percentage points. The Vermont senator, however, performs better than Clinton in a general election matchup against the current GOP frontrunner, billionaire Donald Trump. Sanders trounces Trump by 15 points, with 54 percent of support nationally to the businessman's 39 percent. Clinton outdoes Trump by 10 points, 51-to-41 percent. The survey also finds that nearly 8 in 10 Democratic primary voters say they could see themselves backing Clinton, compared to just two-thirds who could imagine supporting Sanders. Among Democratic primary voters that want an experienced contender, Clinton holds a commanding lead over Sanders, 71 percent to 30. 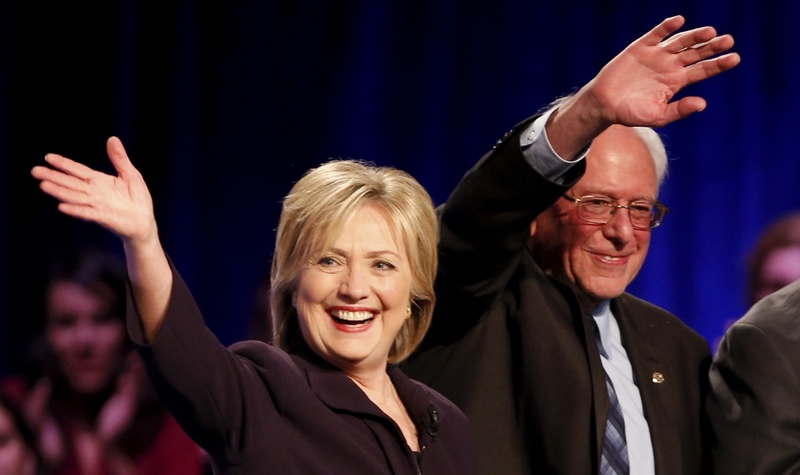 The poll was conducted Jan. 9-13 among 400 Democratic primary voters. The margin of error is 4.9 percentage points.